Twilight is one of my favorite times to take pictures. The sky can be beautiful, and it's the perfect pairing for cityscape photography. To make pictures at twilight, you'll need a tripod, shutter release cable, (or self timer) and a great subject. 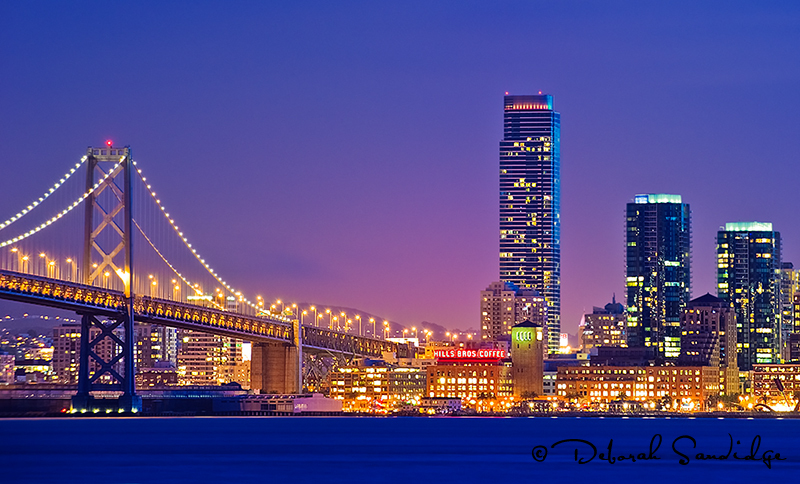 The best opportunity for photographing a city is often during the week when the most lights are on. Scout out an interesting location ahead of time, and make a few test shots to make sure you have the composition you are pleased with. 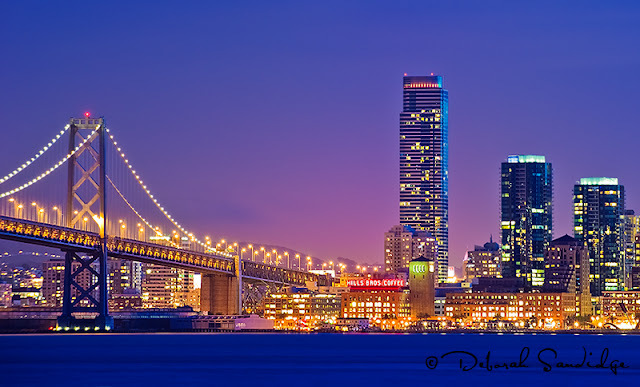 It takes a little patience to wait for the right light, the magical moments between sunset and dark as shown in the above San Francisco, California cityscape. If you have the opportunity to get close to your subject, try using a fisheye or wide-angle lens. 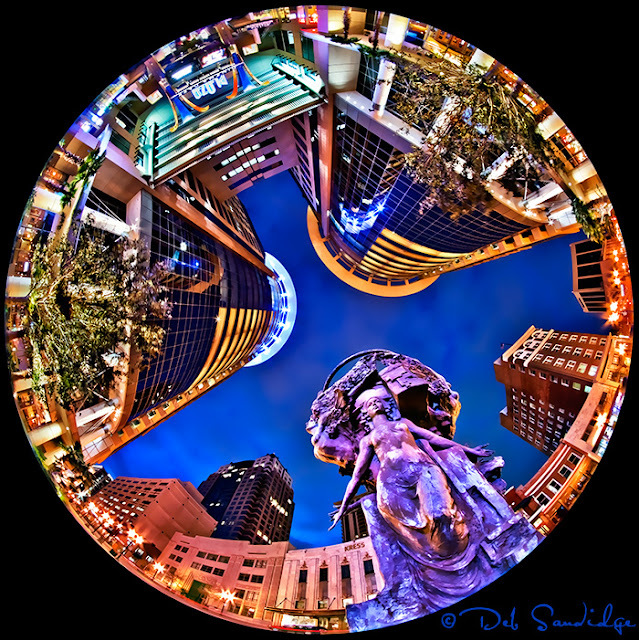 The photo below was captured with an 8mm circular fisheye for an fun and interesting take on Orlando, Florida at twilight. Make great pictures!